Anne Posten is a literary translator based in Berlin. Her short translations of poetry and prose have appeared or are forthcoming in Modern Poetry in Translation, VICE, The Buenos Aires Review, n+1, Gigantic, Hanging Loose, Words without Borders, FIELD, Stonecutter, and The Agriculture Reader. Book-length works include Walks with Walser, from New Directions, Glass! Love!! Perpetual Motion!!! : A Paul Scheerbart Reader, appearing with Christine Burgin/The University of Chicago Press; Anna Katharina Hahn’s Shorter Days, with Frisch & Co., and Monika Held’s This Place Holds No Fear from Haus Publishing. She won the inaugural Loose Translations Award from Hanging Loose Press in 2012, which resulted in the publication of her translation of Tankred Dorst’s novella This Beautiful Place, and she won an Honorable Mention for the 2008 Susan Sontag Translation Prize. 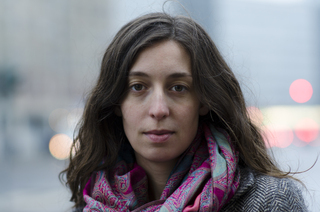 Her essay on translating the German poet Thomas Brasch appears in the 2012 issue of Text + Kritik dedicated to the latter’s work. Posten holds an MFA in Creative Writing and Literary Translation from Queens College, CUNY and a Bachelor's in German from Oberlin College. She is the recipient of a 2014-15 Fulbright Grant to Berlin.